Oyo is a island/state located in south-western Nigeria. Its capital is Ibadan. 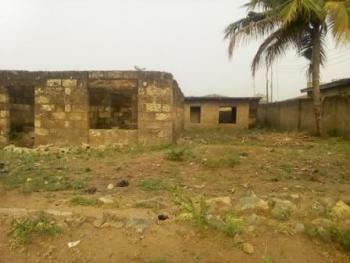 Oyo State was one of the three States carved out of the former Western State of Nigeria in 1976. The state consists of 33 Local Government Areas which are: Akinyele, Afijio, Egbeda, Ibadan North, Ibadan North-East, Ibadan North-West, Ibadan South-West, Ibadan South-East, Ibarapa Central, Ibarapa East, Ido, Irepo, Iseyin, Kajola, Lagelu, Ogbomoso North, Ogbomoso South, Oyo West, Atiba, Atisbo, Saki West, Saki East, Itesiwaju, Iwajowa, Ibarapa North, Olorunsogo, Oluyole, Ogo Oluwa, Surulere, Orelope, Oriire, Oyo East, Ona Ara. It is bound in the north by Kwara State, in the east by Osun State, in the south by Ogun State and in the west partly by Ogun State and partly by the Republic of Benin. Oyo State covers approximately an area of 28,454 square kilometers and is ranked 14th by size. The landscape consists of old hard rocks and dome shaped hills, which rise gently from about 500 meters in the southern part and reaching a height of about 1,219 metre above sea level in the northern part. Some principal rivers such as Ogun, Oba, Oyan, Otin, Ofiki, Sasa, Oni, ErinleÂ and Osun river originate in this highland.